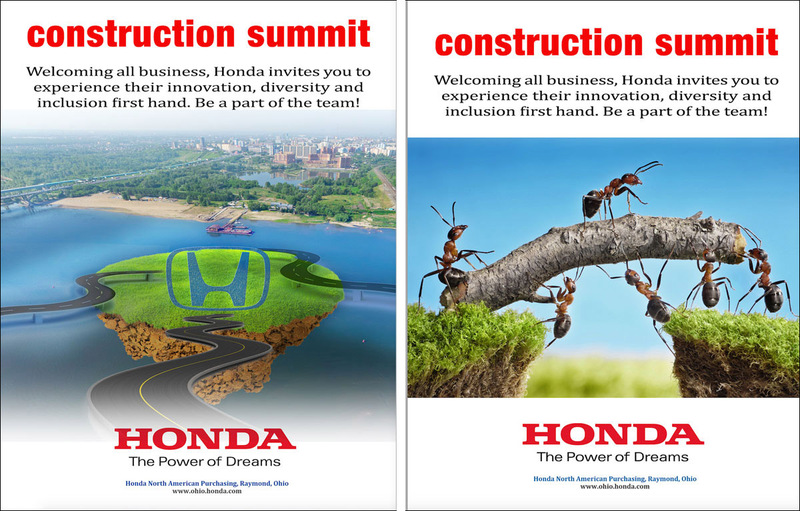 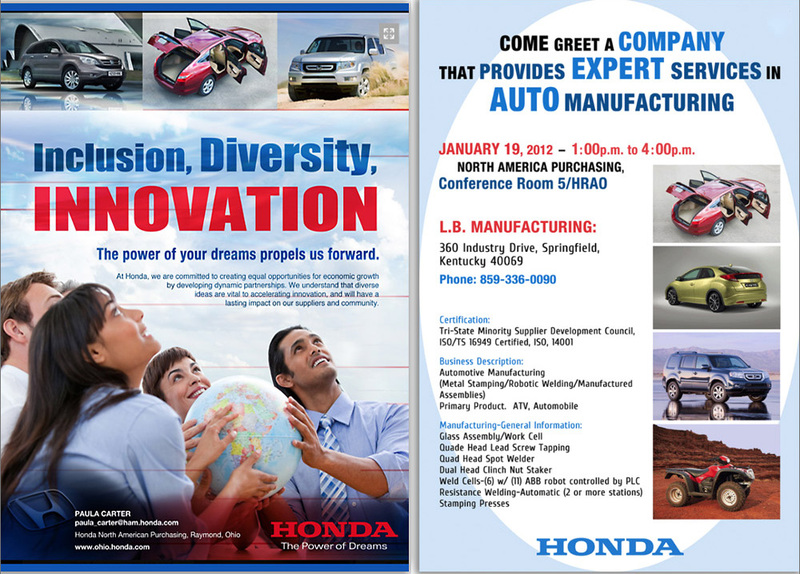 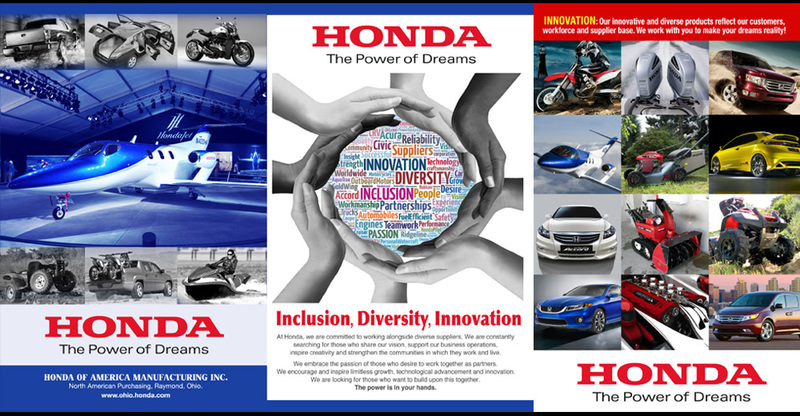 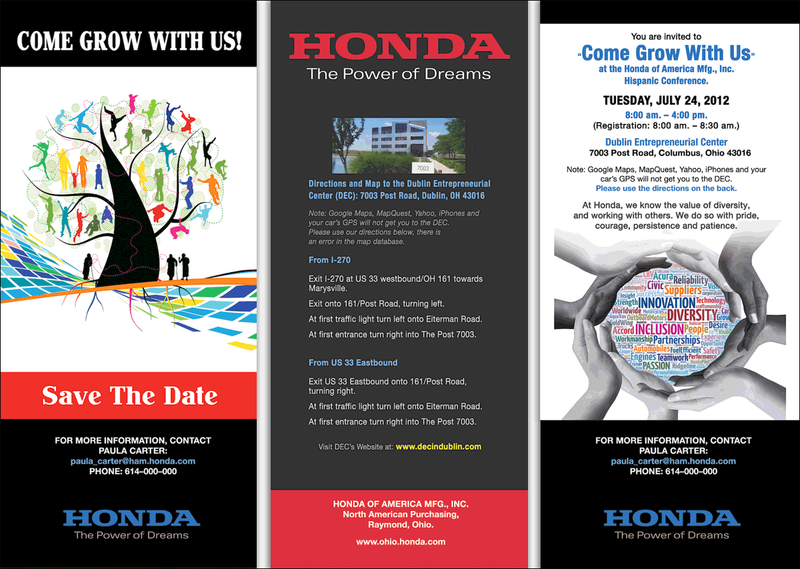 Create original Marketing Materials for Honda of America.This project was done for and in partnership with Three Leaf Productions, Inc. 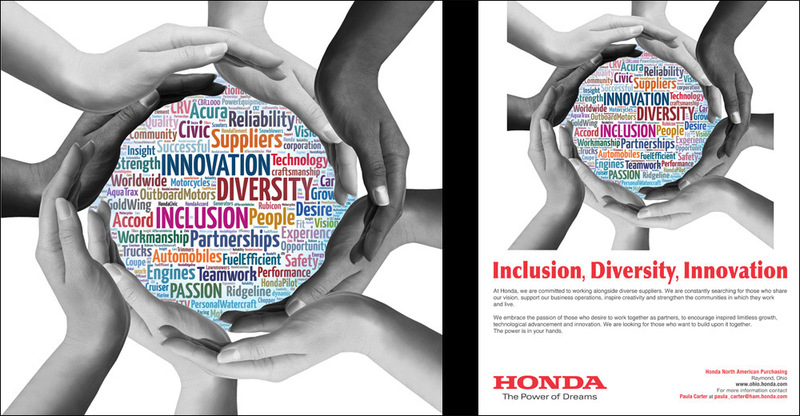 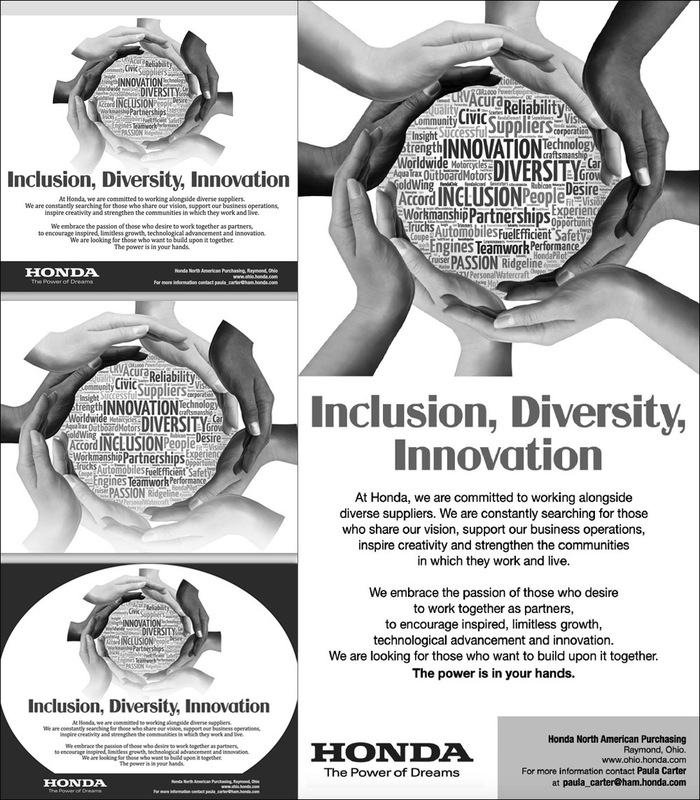 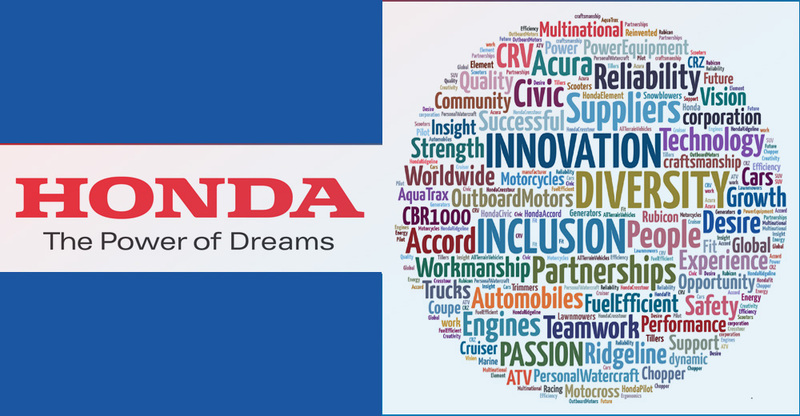 The Word Cloud design concept was formulated to show Honda as being innovative, diverse, modern and trendy. 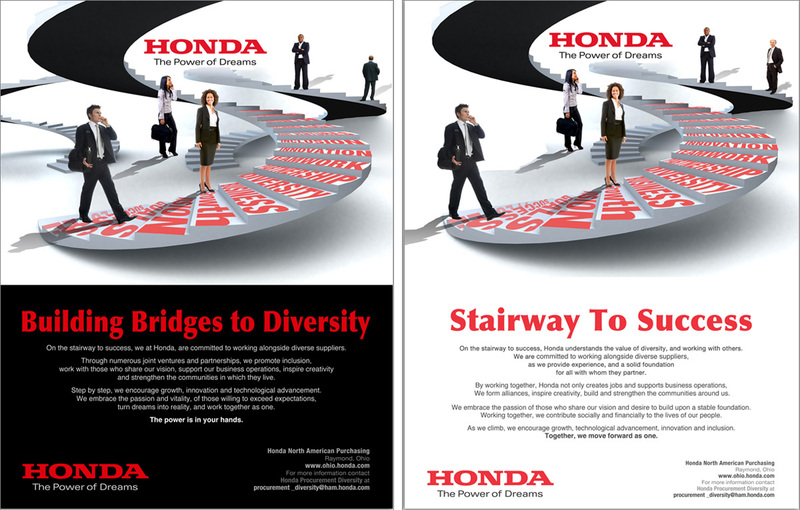 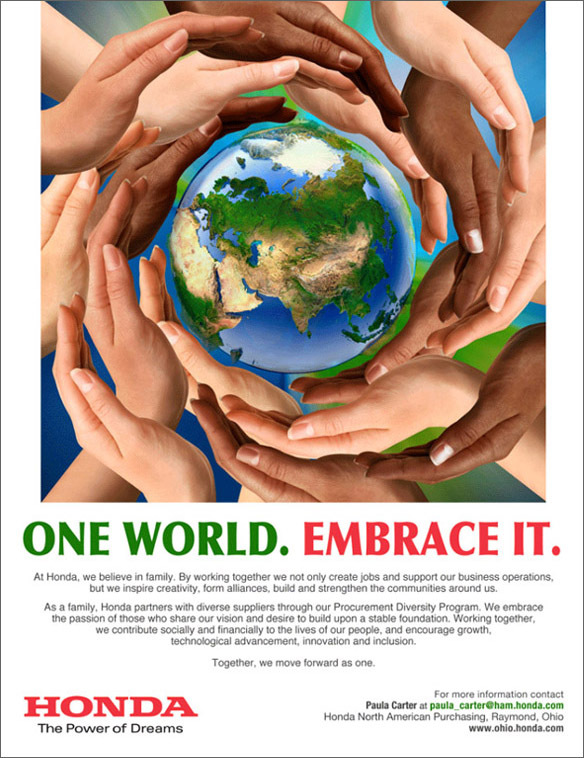 Marketing Material comprising press, publication, magazine ads, word cloud, poster and brochure were created.